Siblings Speak, a new video series by the Health Information Center, will share the love and experiences of families who have someone with special health care needs. Become a health care advocate for your child by following these guidelines. Parents and Residents Together — PART — is a training program for pediatric residents at the University of Minnesota, conducted in collaboration with PACER and parents of children with special health care needs. Learn more about the program in these videos. Who Helps You Coordinate Your Health Care? What Does Guardianship Mean To You? The series is geared towards youth, parents, medical providers, and teachers to enhance conversations around youth taking charge of their own health care. This video series looks at "Working with Medical Professionals: What Parents, Residents and Youth Would Like You to Know." Who knew you could learn how to dance in the hospital? 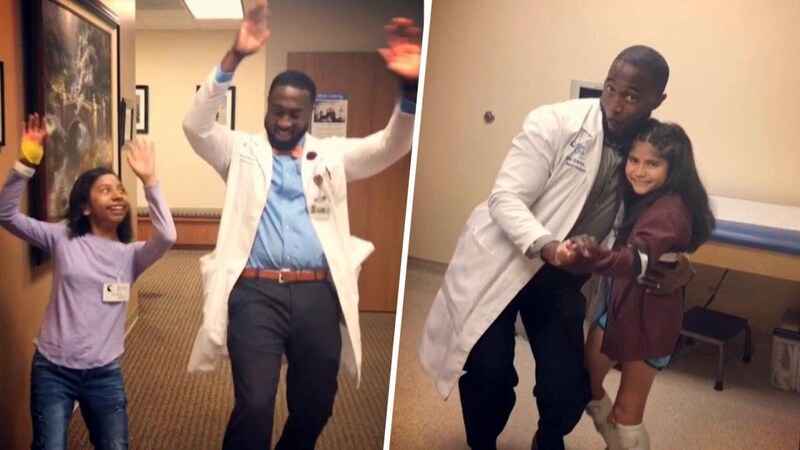 A pediatric neurosurgery physician's assistant helps patients heal by dancing! Tony Adkins first broke out into a dance in an attempt to cheer up one of his patients. It's his way to protect the magic of childhood in the kids he sees. Tony says his unusual method is an integral part of treatment. Now he's dancing his way into the hearts of his patients, one at a time!